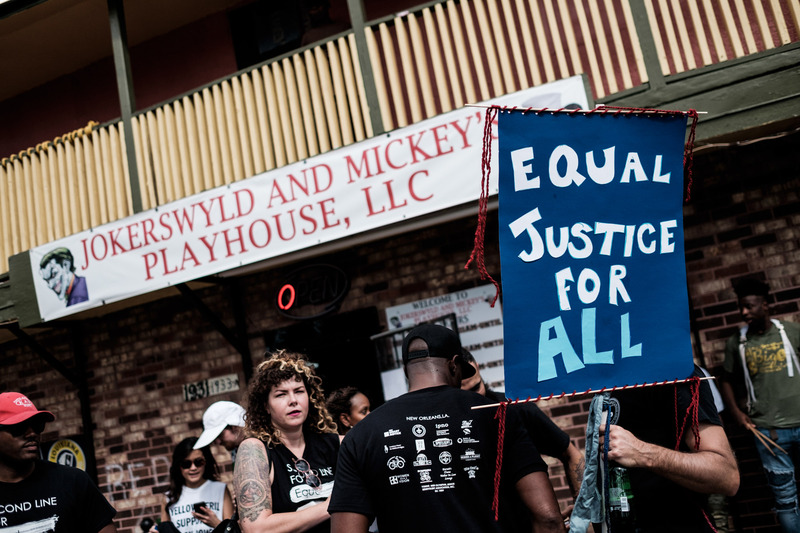 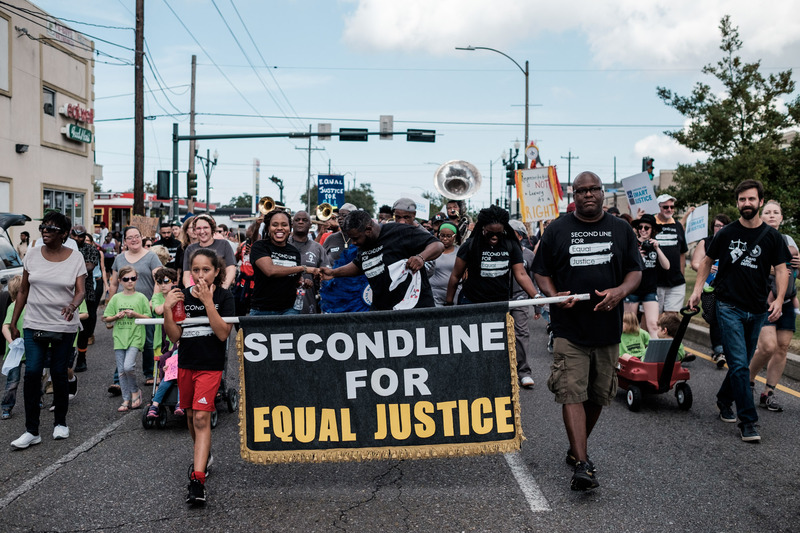 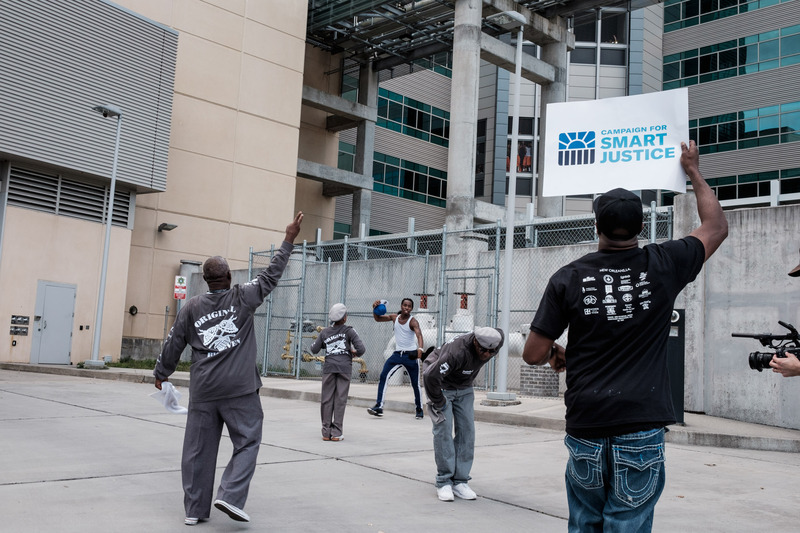 4 nov. 2017 - Second Line for Social Justice : a political parade to raise awareness on the lack of public defenders and mass incarceration in New Orleans. 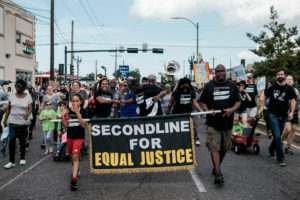 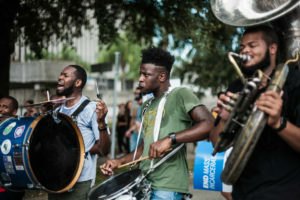 Second Line for Social Justice : a political parade to raise awareness on the lack of public defenders and mass incarceration in New Orleans. 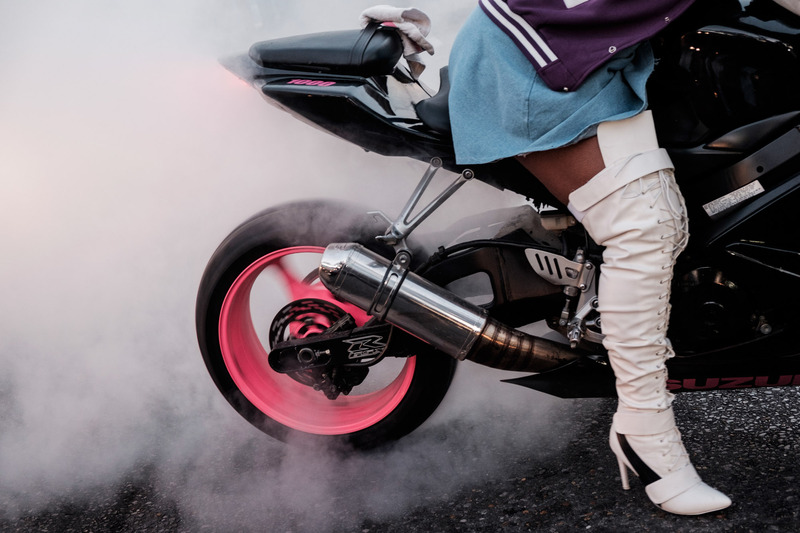 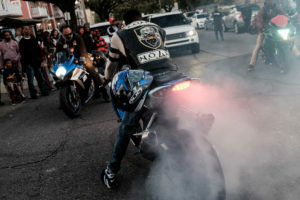 29 oct. 2017 - A Caramel Curve MC member arrive at the Women of Class Second Line and burn tires in the crowd. 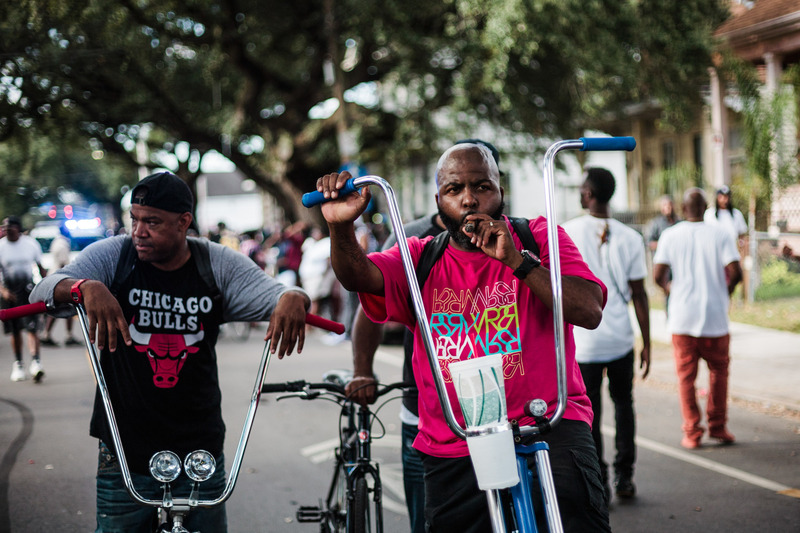 29 oct. 2017 - A Caramel Curve MC member at the Women of Class Second Line. 1 nov. 2017 - Second Line for Fats Domino, at the initiative of Vaughn's bar owner, while waiting for the official funerals. The parade left Faubourg Marigny and walked all the way to the Lower Ninth Ward where Fats Domino lived. 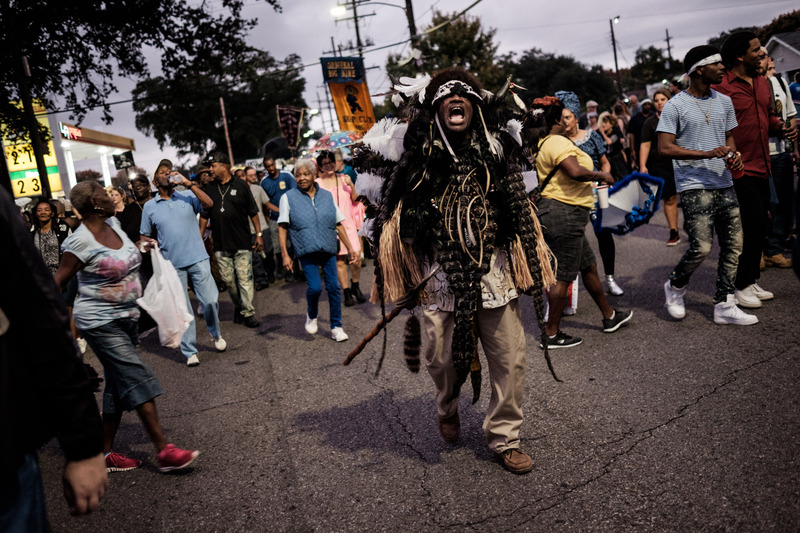 1 nov. 2017 - A Wild Man Mardi Gras Indian, at the Second Line for Fats Domino, at the initiative of Vaughn's bar owner, while waiting for the official funerals. 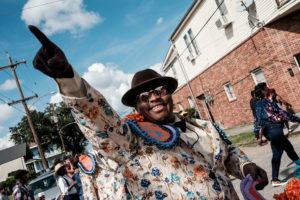 The parade left Faubourg Marigny and walked all the way to the Lower Ninth Ward where Fats Domino lived. 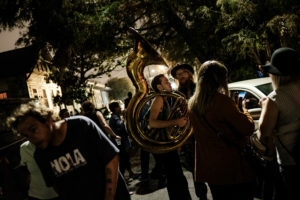 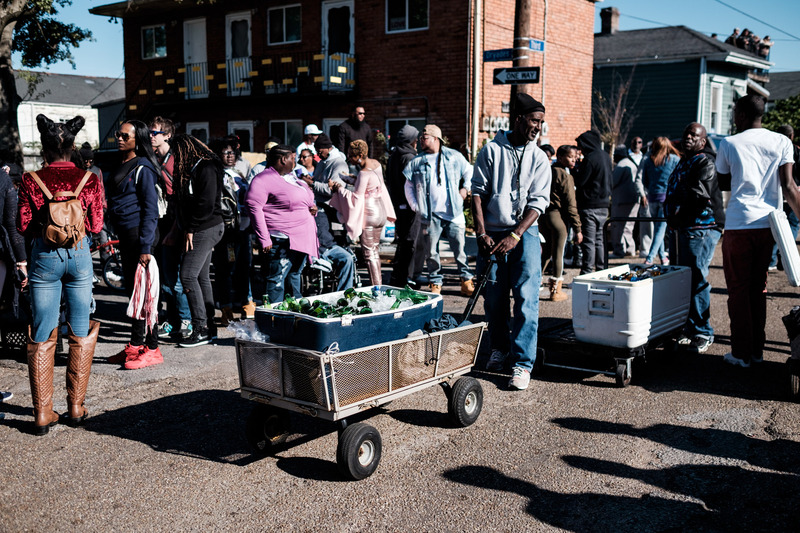 1 nov. 2017 - Brass bands play in front of Fats Domino's house, after the Second Line at the initiative of Vaughn's bar owner, while waiting for the official funerals. 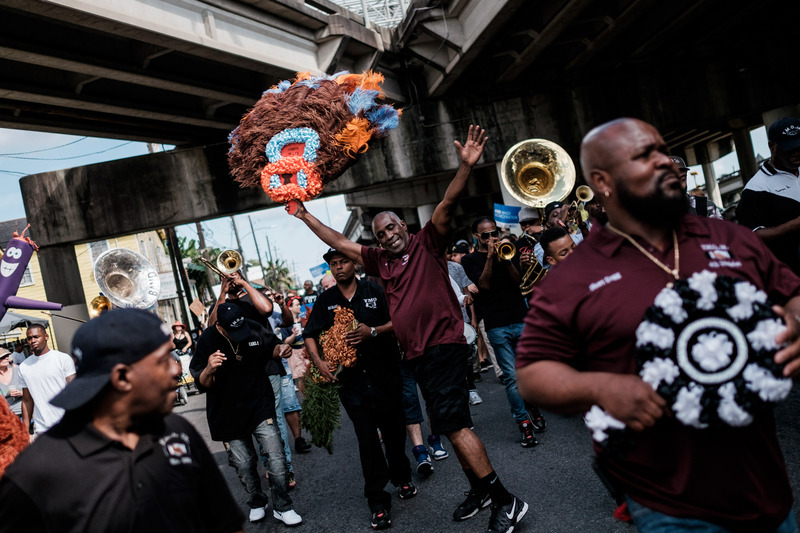 The parade left Faubourg Marigny and walked all the way to the Lower Ninth Ward where Fats Domino lived. 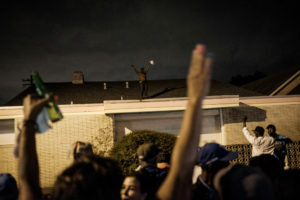 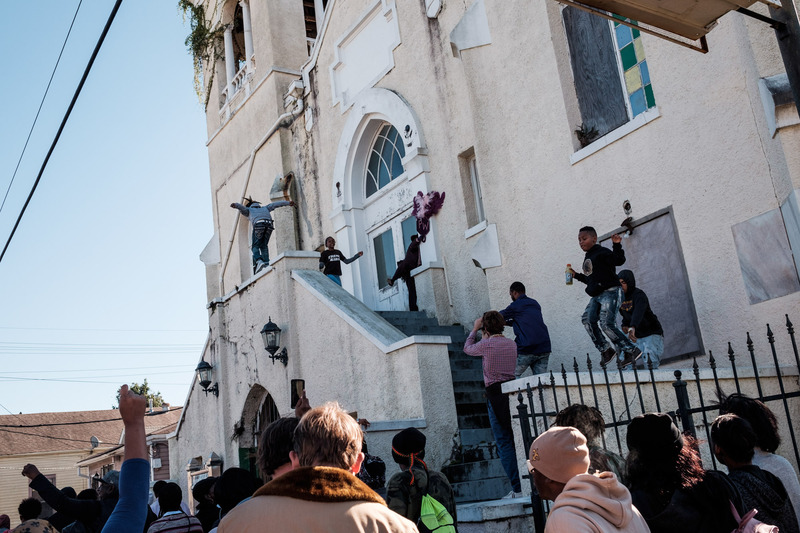 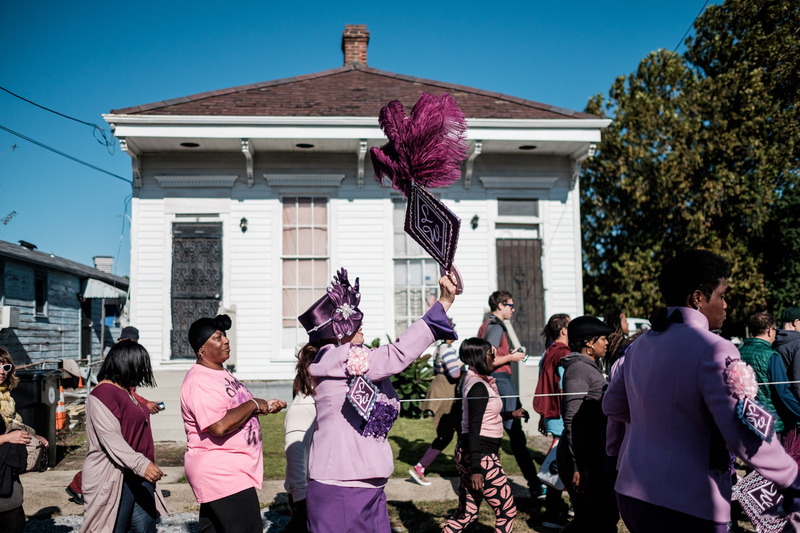 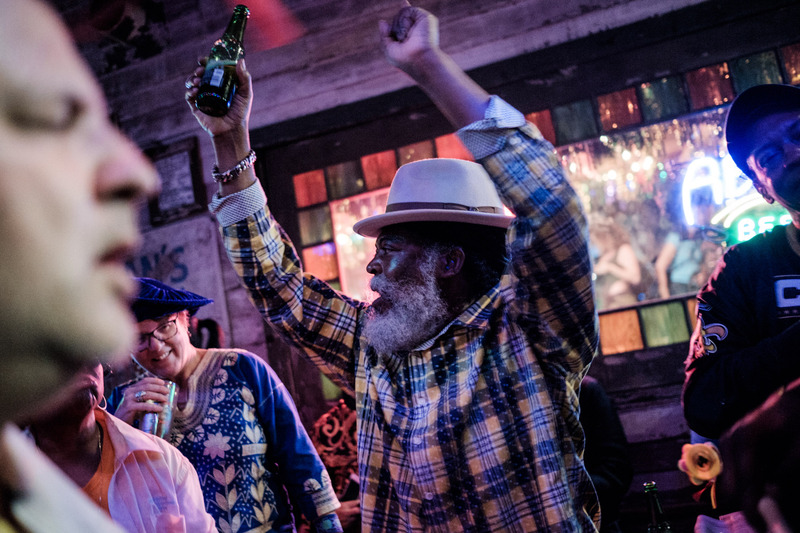 1 nov. 2017 - A man dances on the roof od Fats Domino's house, after the Second Line for Fats Domino, at the initiative of Vaughn's bar owner, while waiting for the official funerals. 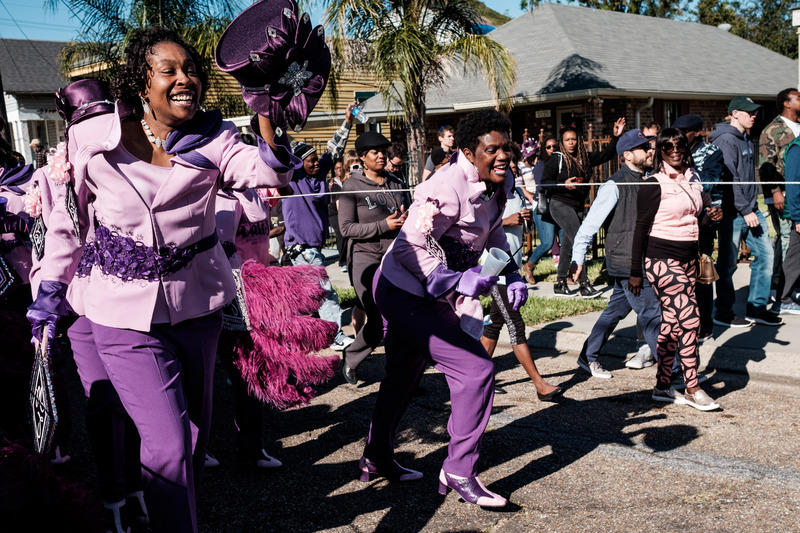 The parade left Faubourg Marigny and walked all the way to the Lower Ninth Ward where Fats Domino lived. 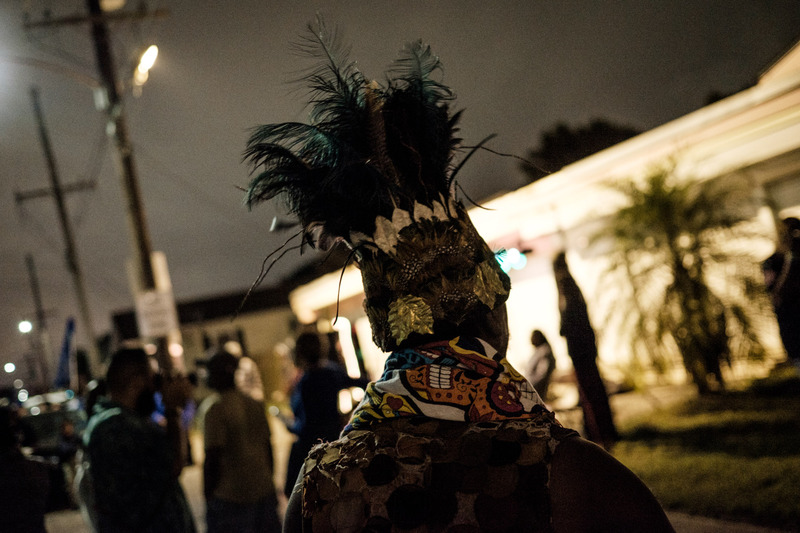 1 nov. 2017 - After the Second Line for Fats Domino, at the initiative of Vaughn's bar owner, while waiting for the official funerals. 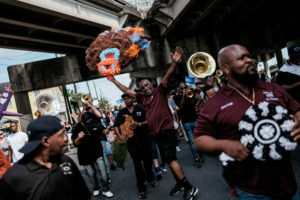 The parade left Faubourg Marigny and walked all the way to the Lower Ninth Ward where Fats Domino lived. 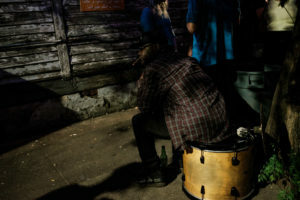 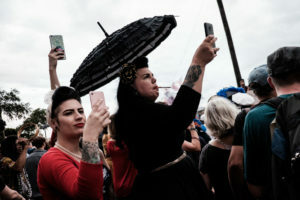 1 nov. 2017 - Musicians at Vaughn's after the Second Line for Fats Domino, at the initiative of Vaughn's bar owner, while waiting for the official funerals. The parade left Faubourg Marigny and walked all the way to the Lower Ninth Ward where Fats Domino lived. 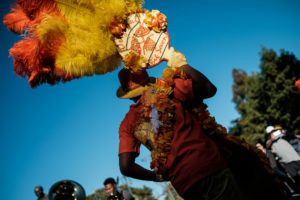 Forget about Mardi Gras, the tourists and weeks of festivities. 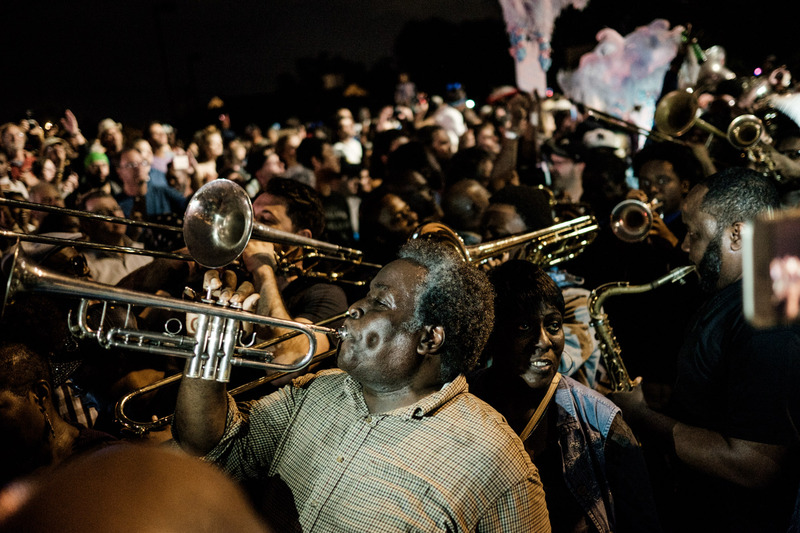 Forget about the Jazz Festival and the price of the tickets. 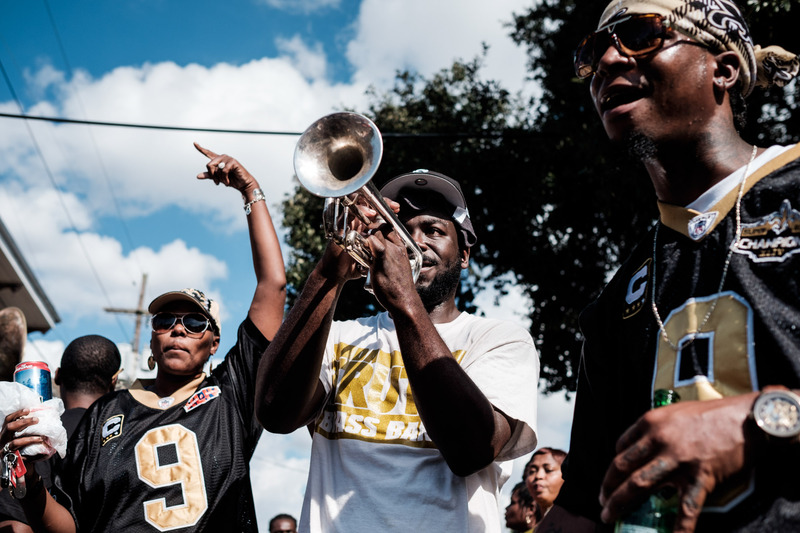 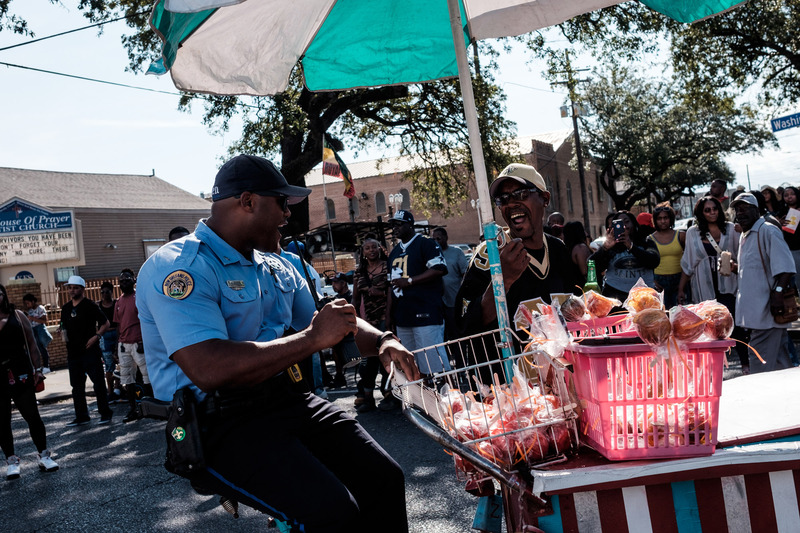 On sunday in New Orleans, it’s the Second Lines you need to follow. 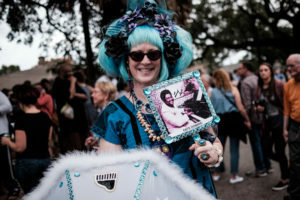 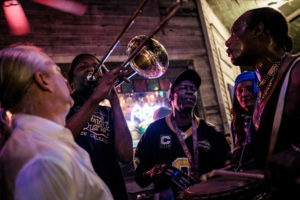 Far from the strip-tease joints and drunken college kids on Bourbon Street, far from the jazz buffs who spend their evenings in Frenchmen street, it’s in those parades that the heart of New Orleans is beating, that’s where the bands play louder, for the living as for the dead. 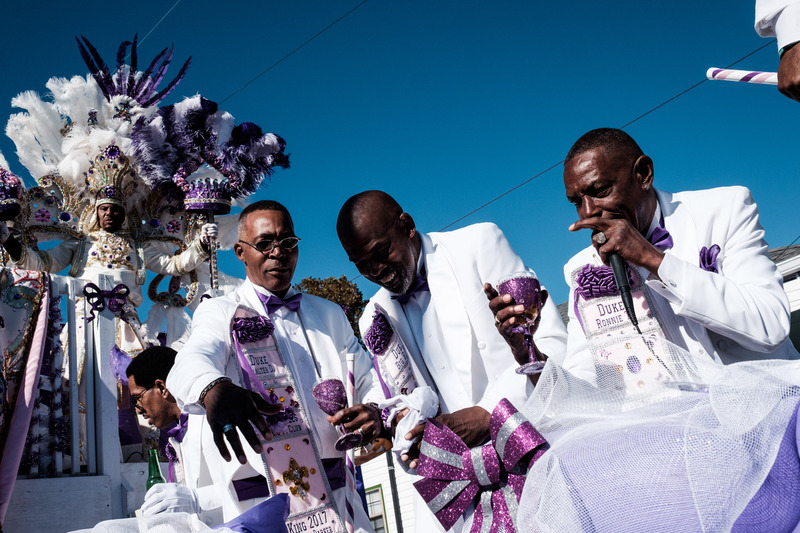 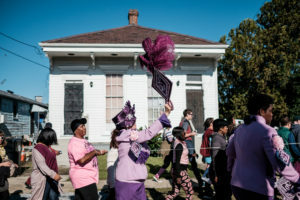 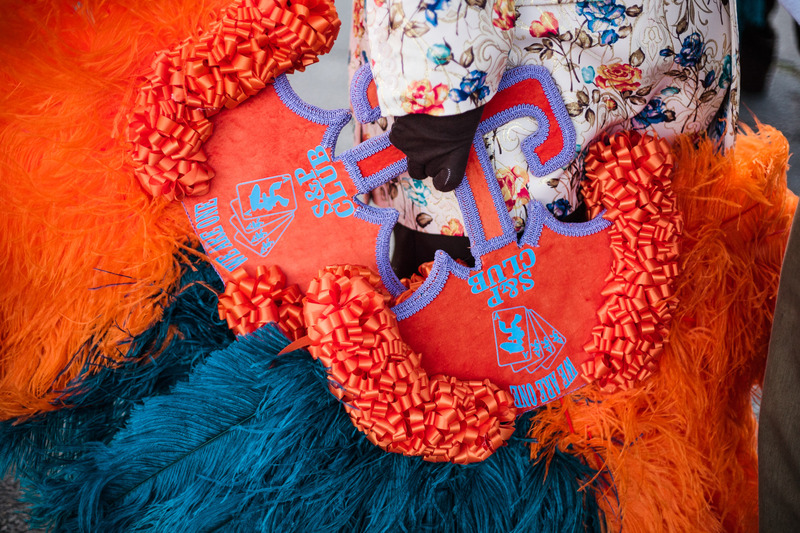 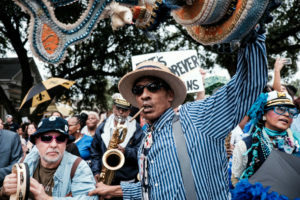 Organized by the Social Aid and Pleasure Clubs of each neighbourhood, these parades have their roots in the gathering of the slaves on Congo Square, after the sunday mass. 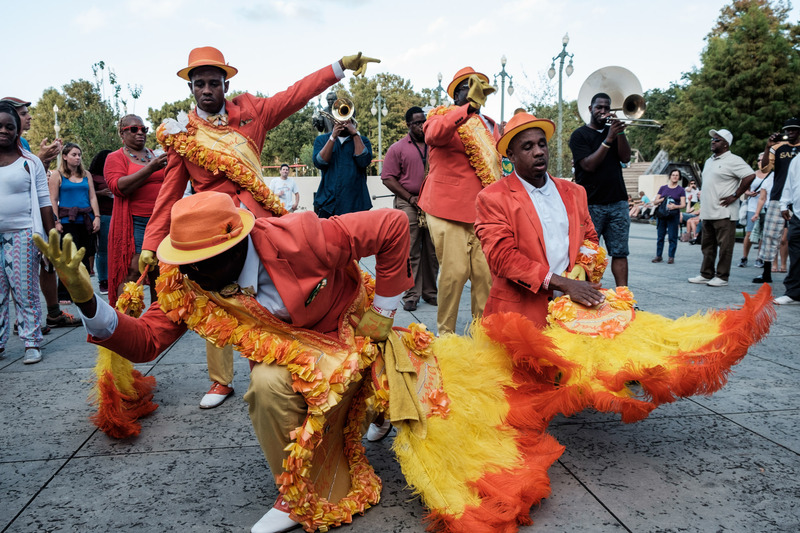 They were formalized in the 19th century, in the jazz burials, where the first line was the family and close relatives and in the second line, the public would join the procession. They are now as many pretexts to gather in music, with sometimes a hommage or fights for social justice. On the street corners of the faubourgs, Delassize or Livaudais, in front of the bars where the sweaty crowd stops before starting its transe once again, one can glimpse the vibrants colours of the Social Clubs members who organize them, listen to the best brass bands in town, and meet kings and queens who bounce on extravagant parade trucks, tatooed urban cow boys, and motorcycle clubs who burn the asphalt. 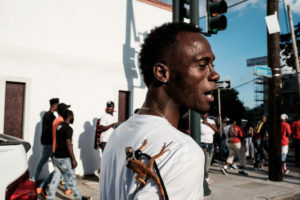 As New Orleans celebrates its 300 years anniversary, before gentrification eats away all the faubourgs, this shows a part of the city’s culture that is still raw. 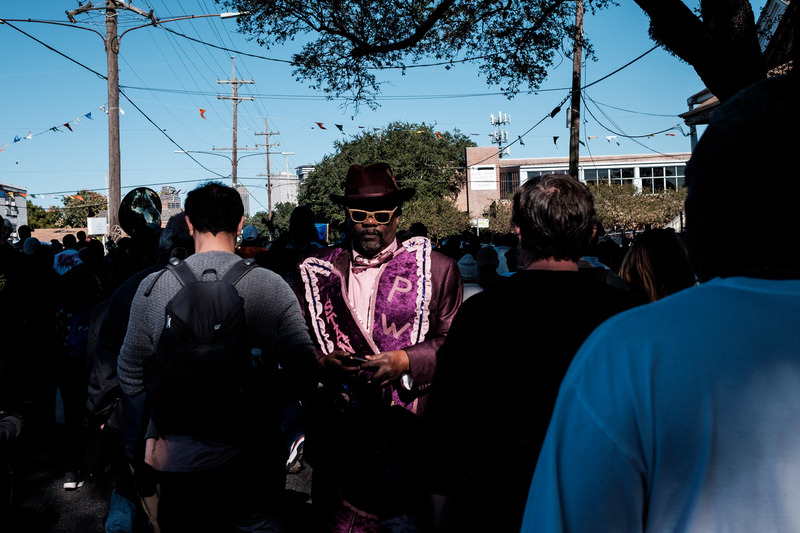 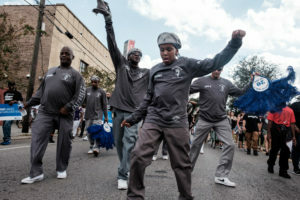 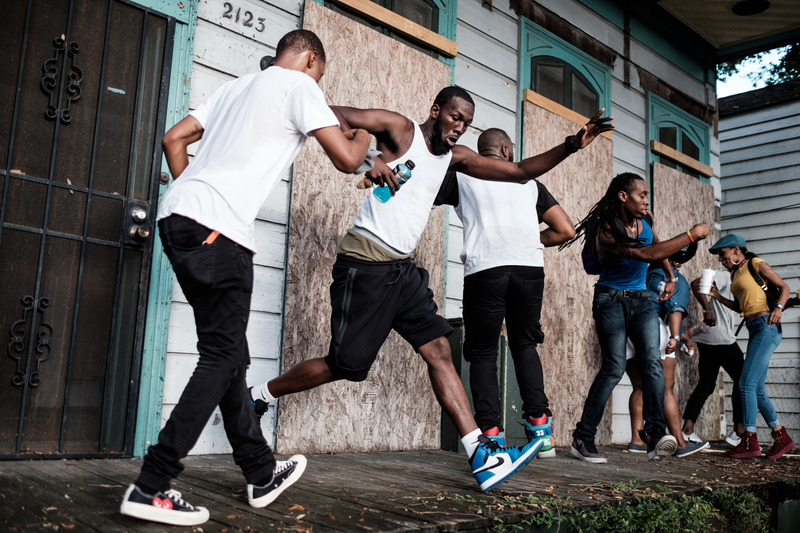 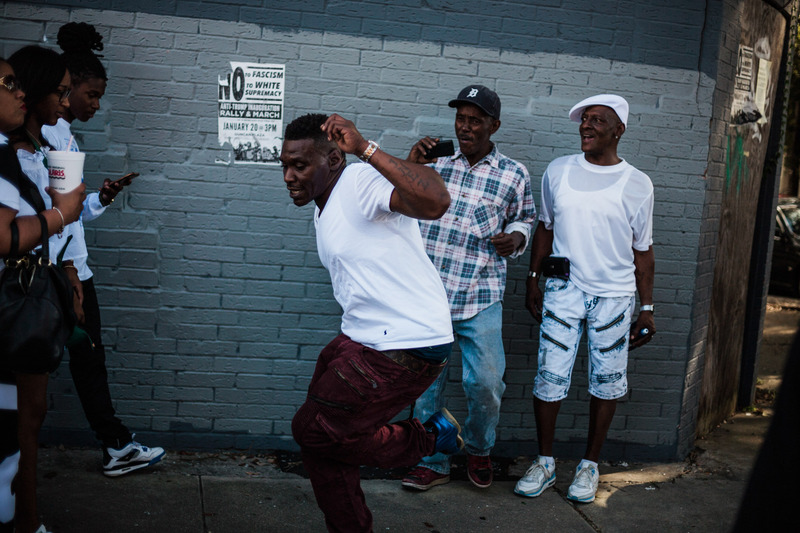 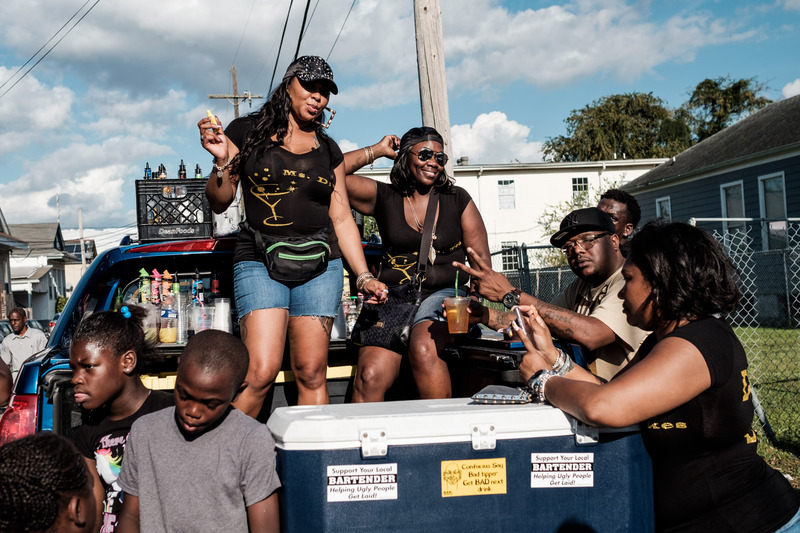 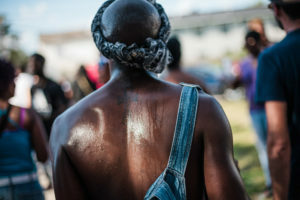 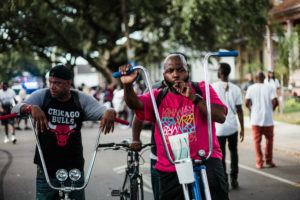 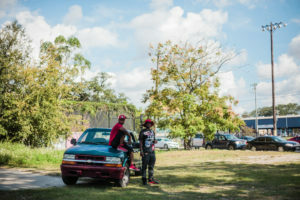 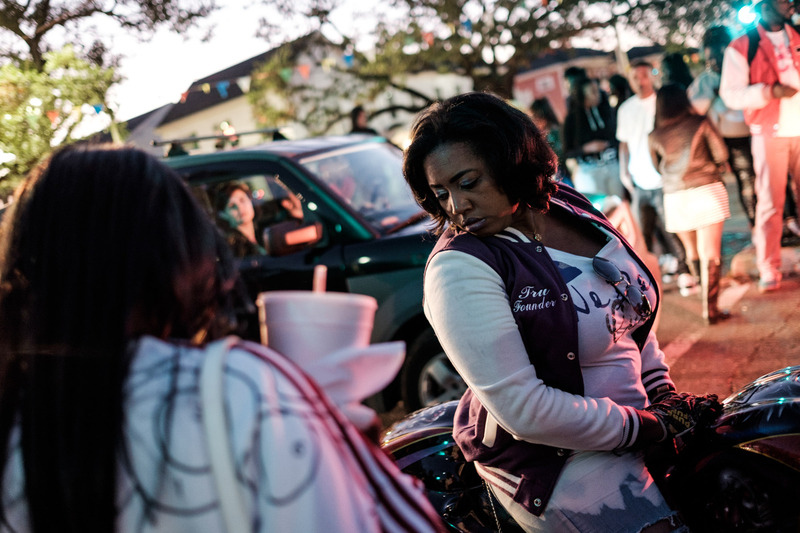 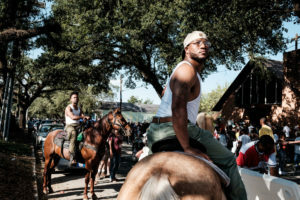 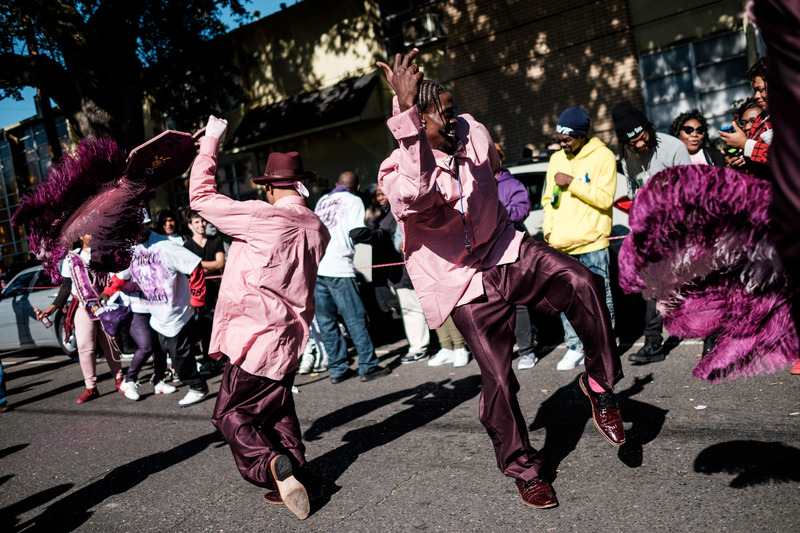 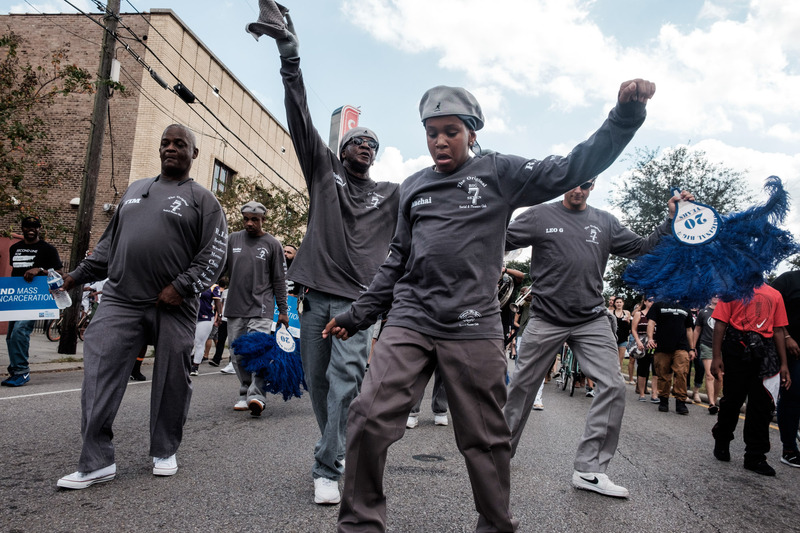 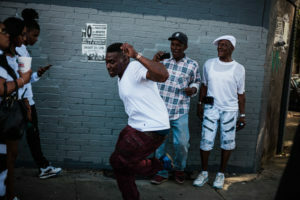 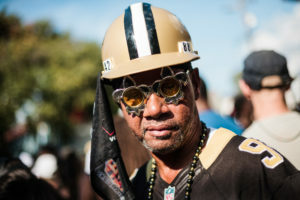 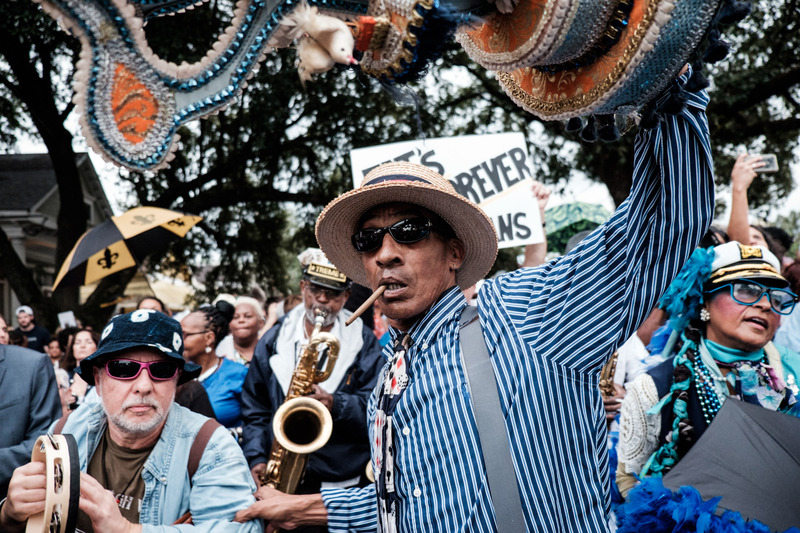 Stories | Tags: culture, music, New Orleans, parade, Second Line.